Consume: 2. 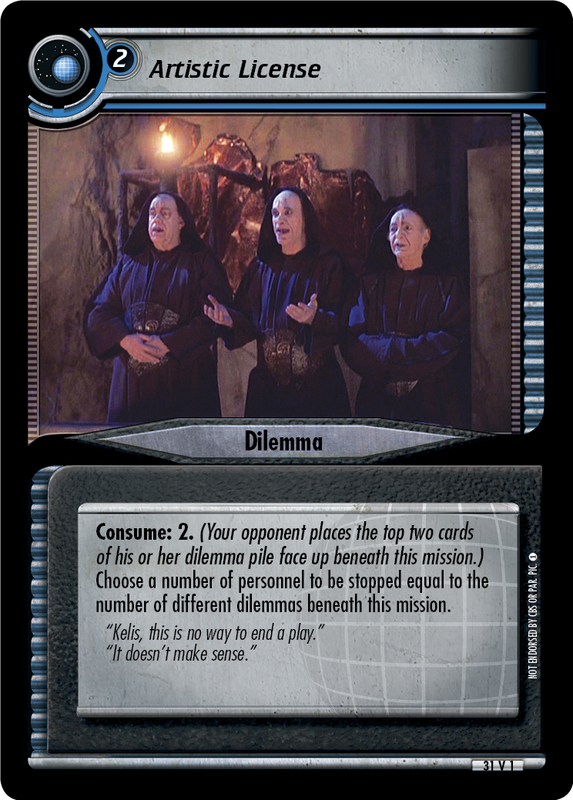 (Your opponent places the top two cards of his or her dilemma pile face up beneath this mission.) 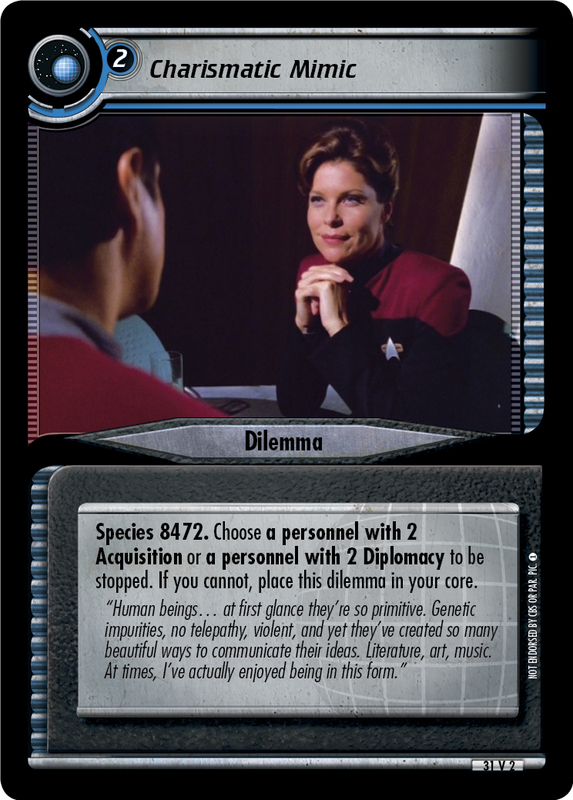 Choose a number of personnel to be stopped equal to the number of different dilemmas beneath this mission. "Kellis, this is no way to end a play."